Think you have what it takes to keep the vibe right? We think so too! 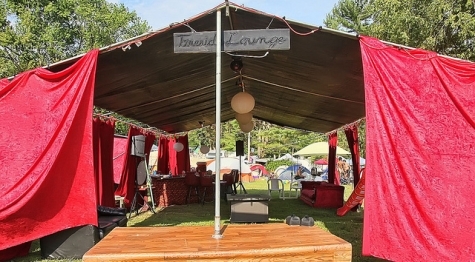 Tell us about your Environment or Theme Camp and let us know how you will add to the cultural fabric of our event! We want to encourage all unique groups and environment creators to have a presence in our three-day festival of art and expression. Please complete the Theme Camp / Environment Form to get your Theme Camp or Environment listed in the PEX Summer Festival's "That's What's Up!" Guide. June 1st is the Deadline for guide submissions. For questions or to reserve space for your Theme Camp or Environment please contact environments@pexsummerfestival.com.